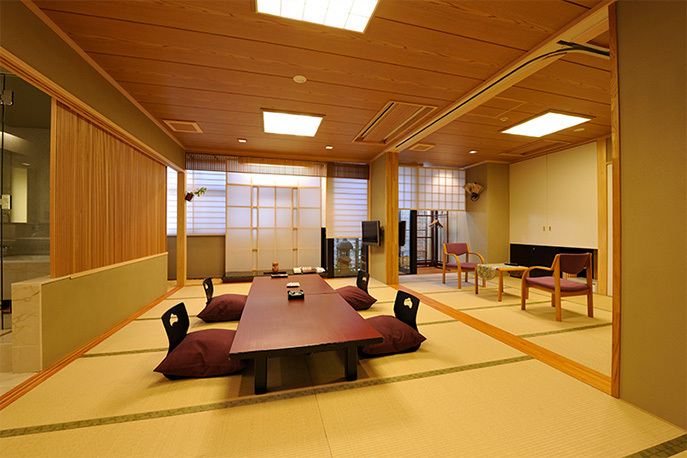 A room recommended for small group of people, where Kaden's respect to the ancient history, particularity to "Wa" is blossoming. 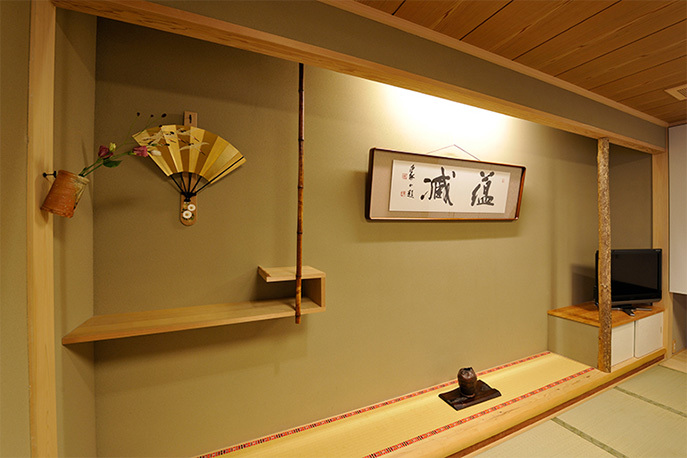 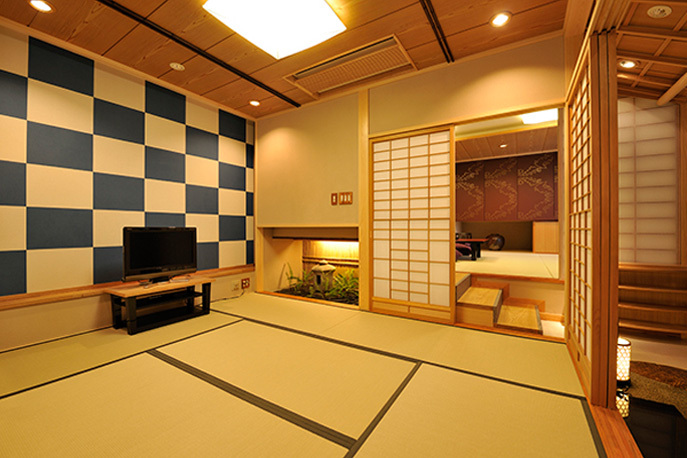 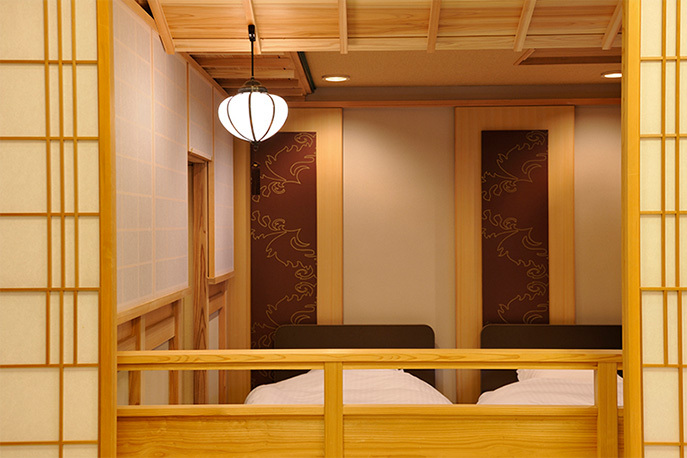 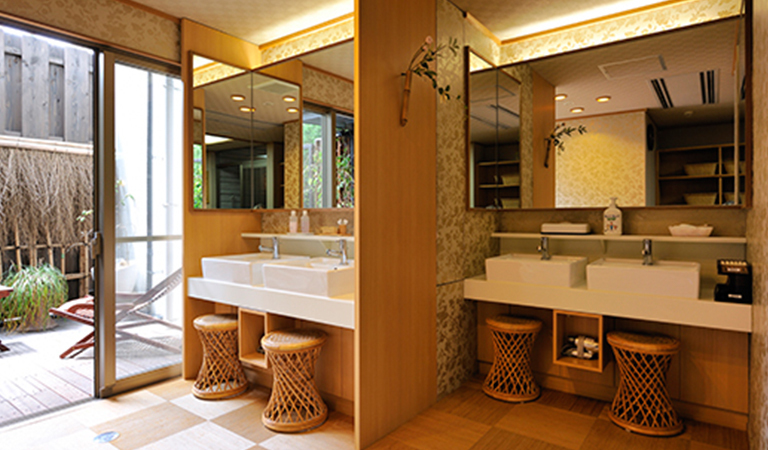 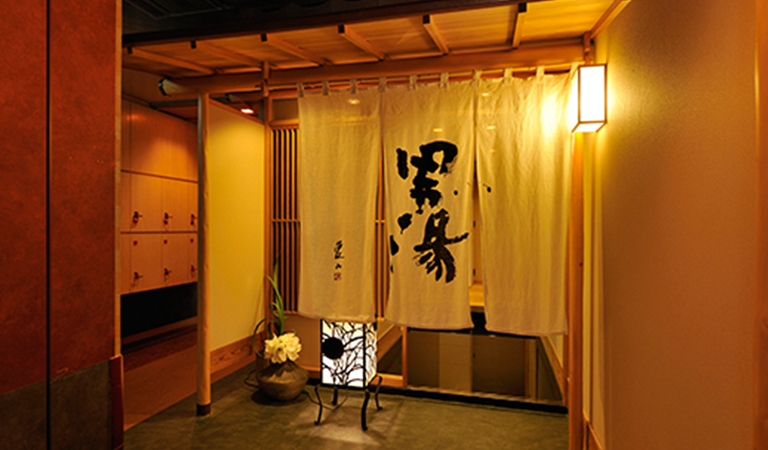 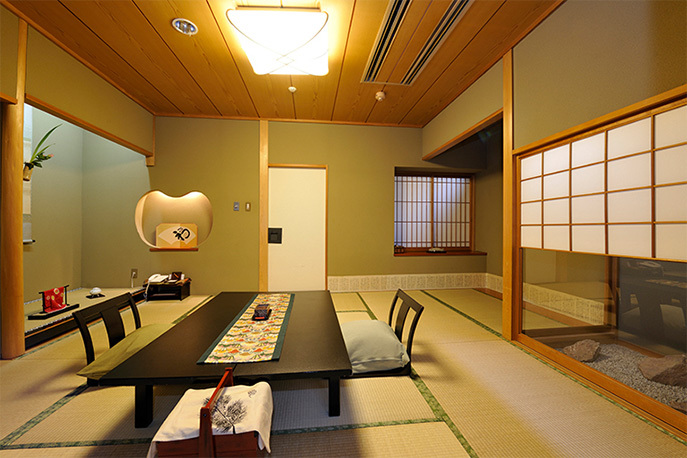 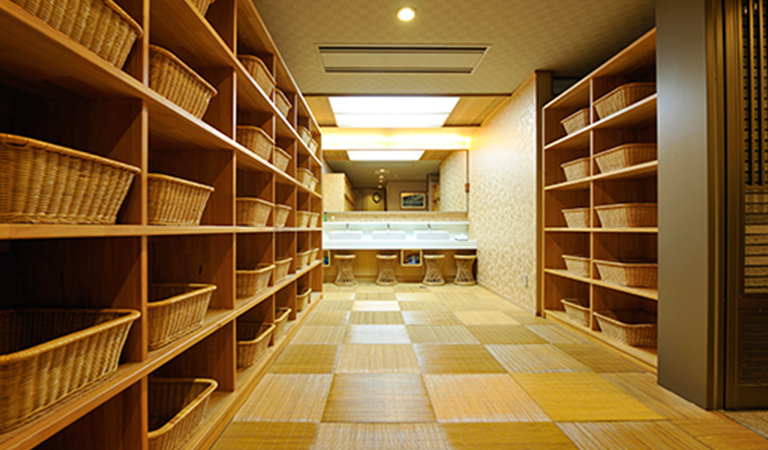 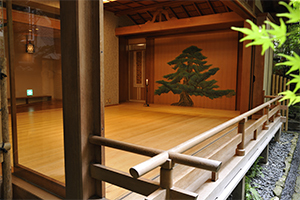 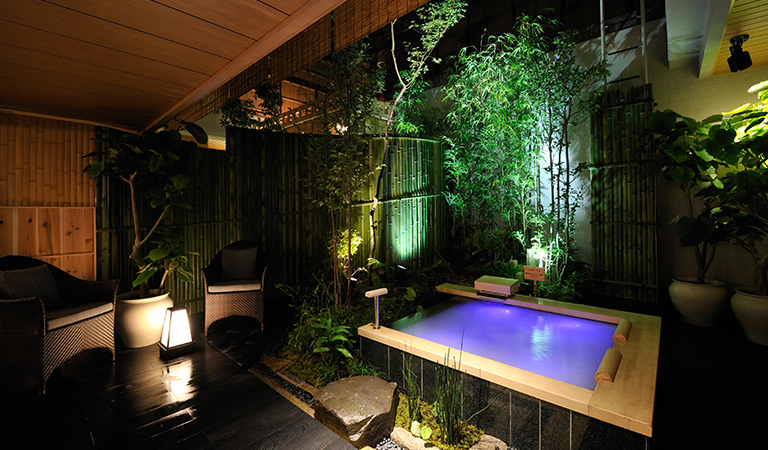 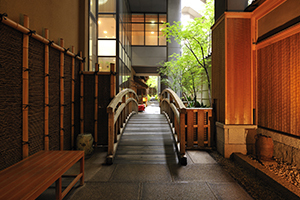 It may seem like an ordinary Japanese style, but is actually made using the architecture technique of the Ouchou era. 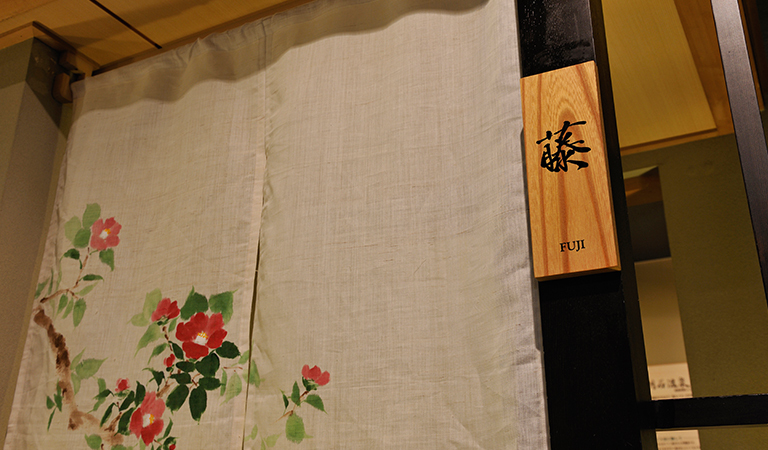 The name of Yuugao was borrowed from an exceptional impressive woman in the story "Tale of Genji". 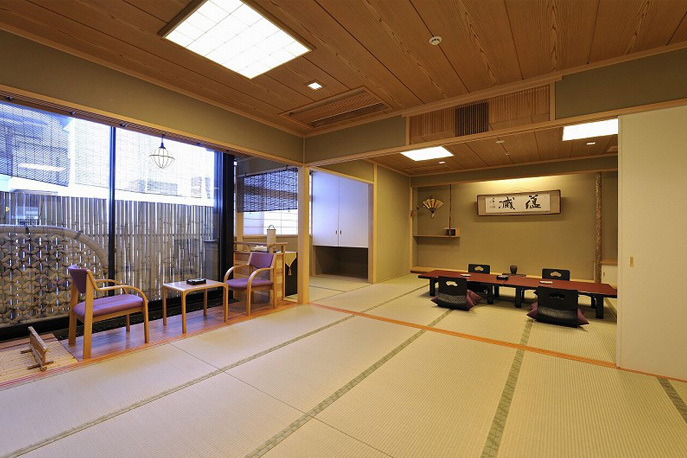 The room is designed like tea rooms on a mountain pass. 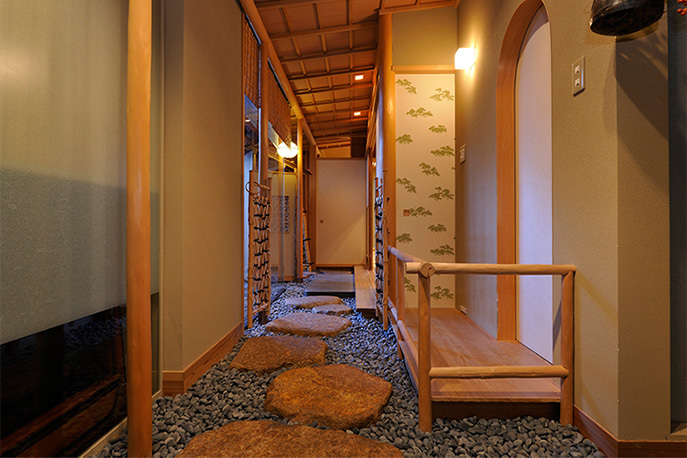 You can imagine the magnificent landscape lying beneath if you close your eyes. 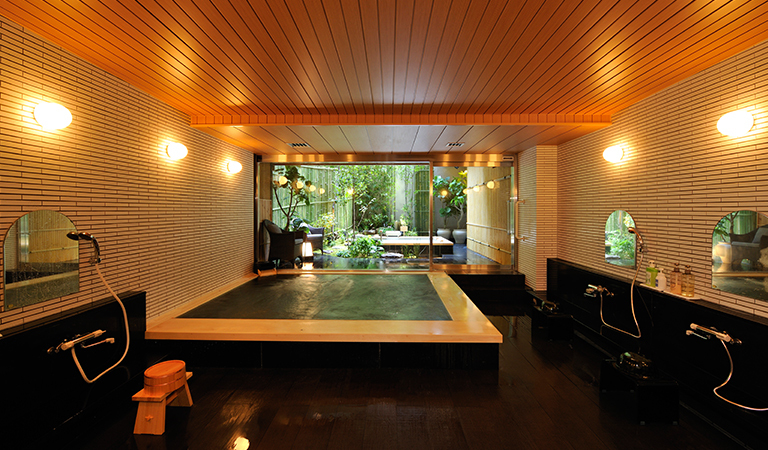 The gorgeous interior will get you time-leaping back to the elegant imperial times. 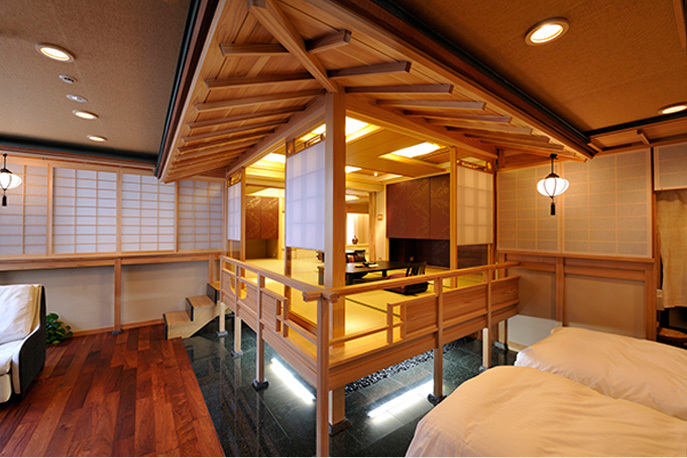 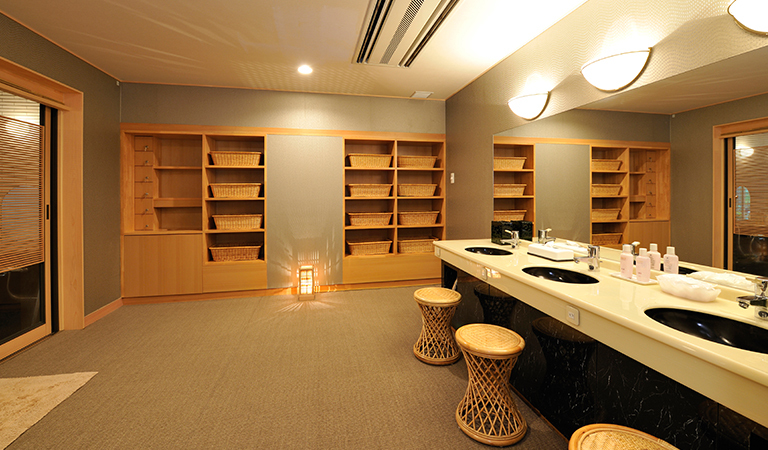 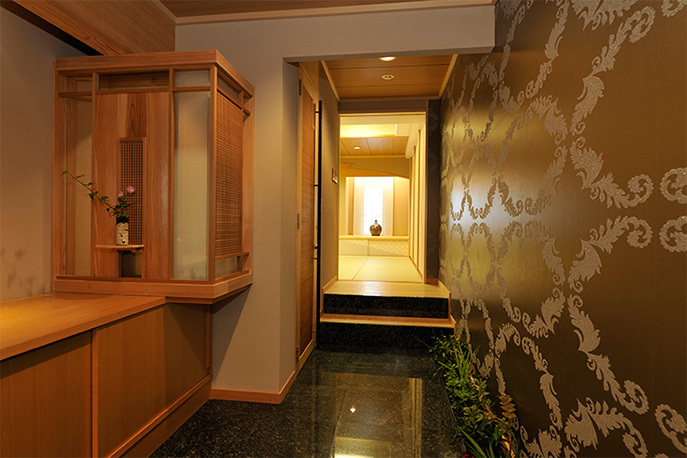 It is designed based on the Imperial palace's library and the bed room. 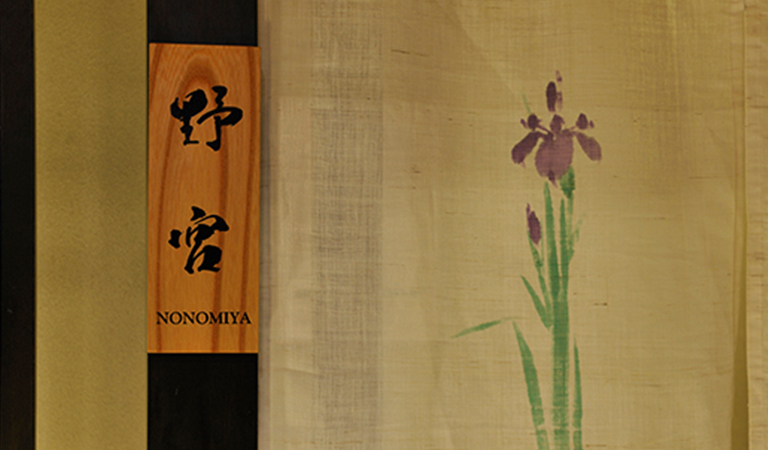 the compatibility with other ingredients, and how to present the cuisine on a dish. 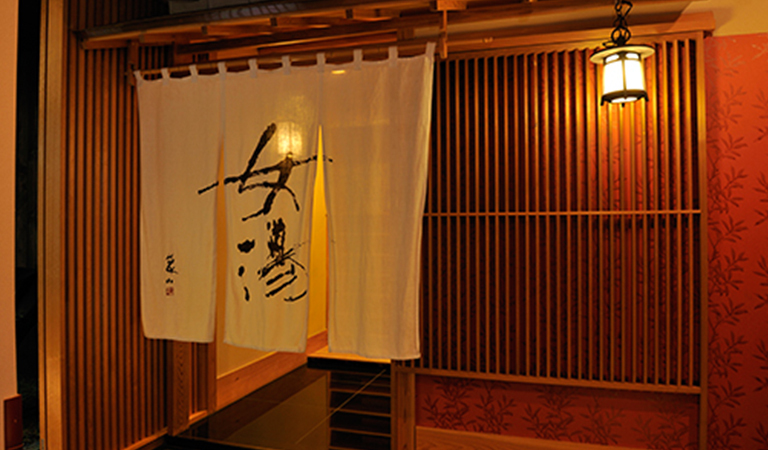 The profounding taste of joy is born from the delicate omotenashi attention to all process of cooking. 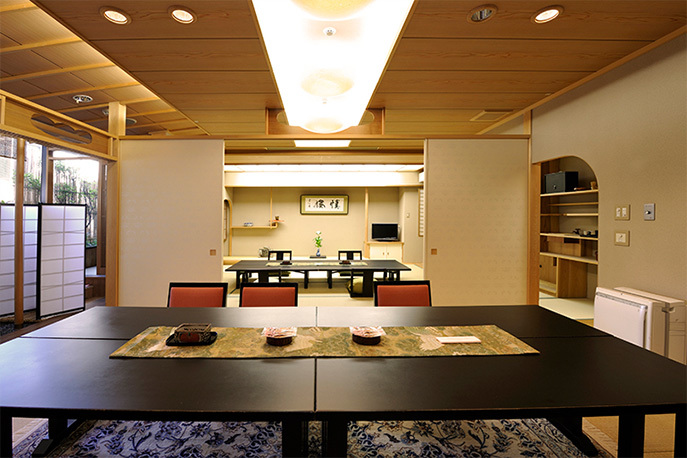 There are 4 types of banquet halls for various purposes. 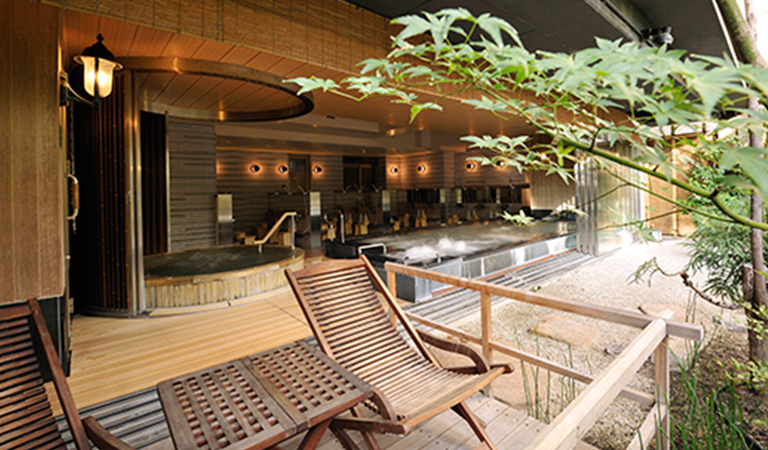 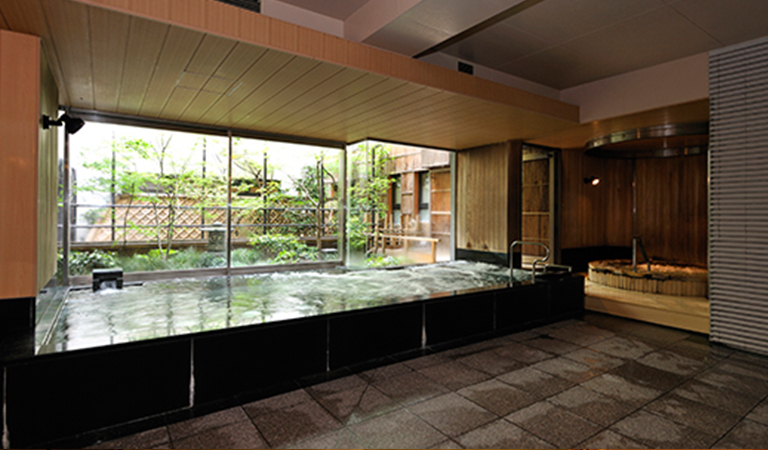 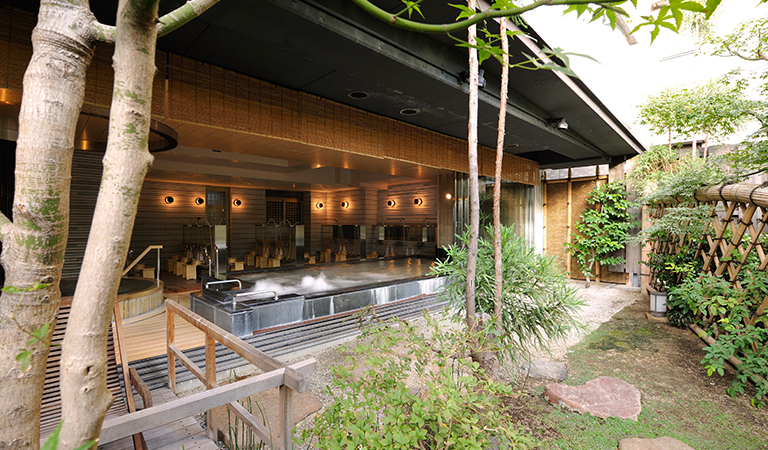 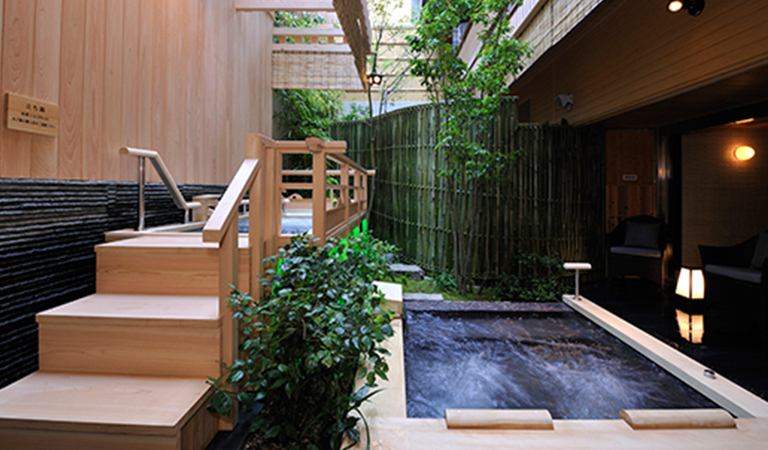 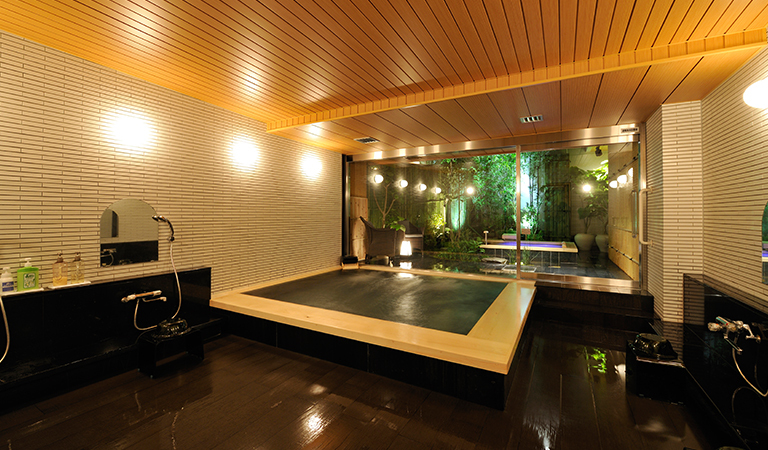 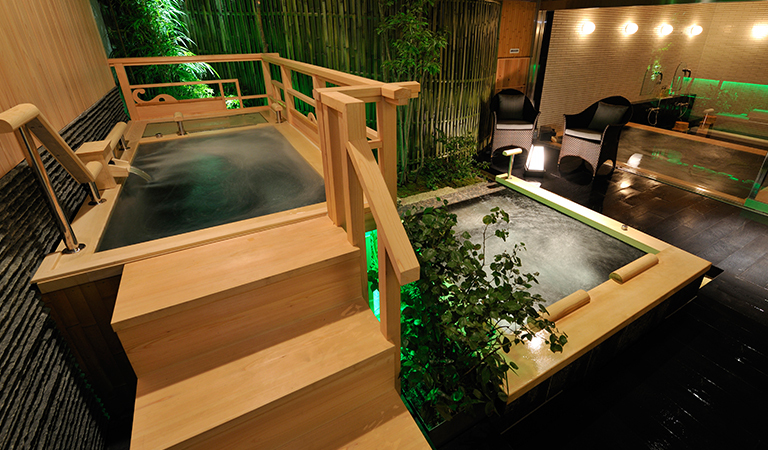 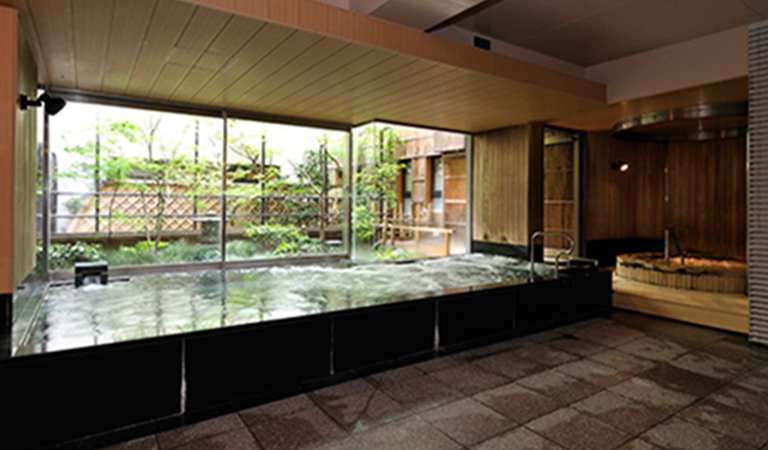 KADEN's two hot spring bath areas - "Kakei" and "Gekka Teien-yu". 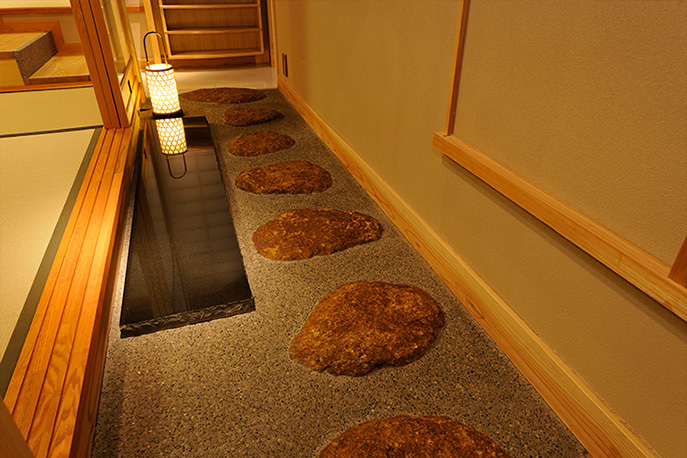 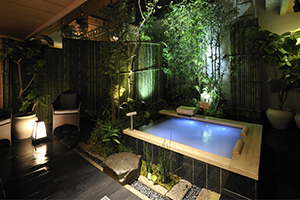 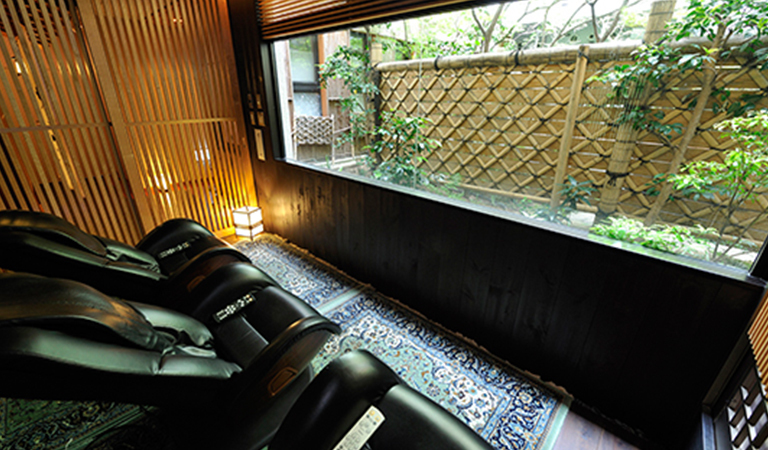 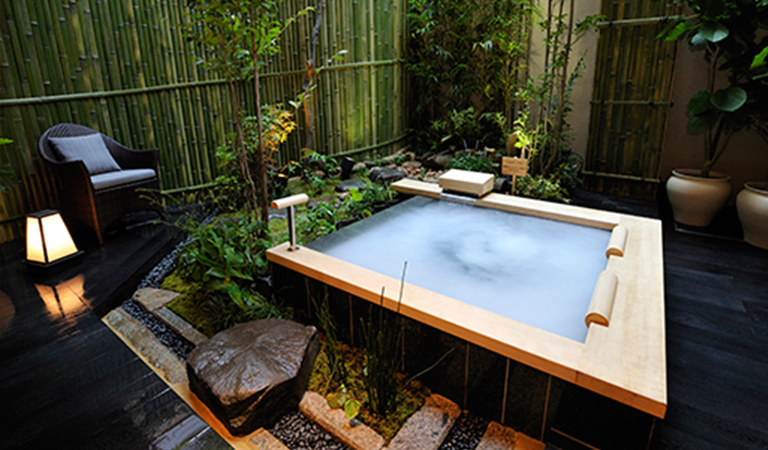 These areas also made traditionally with Japanese heart. 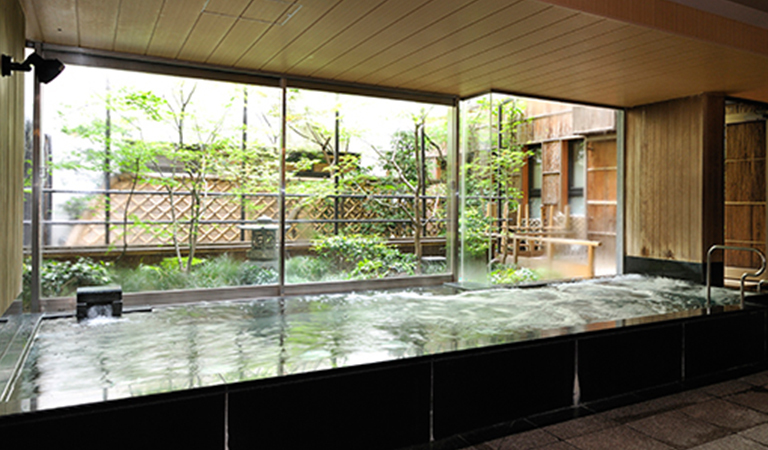 Copyright(C) RyoanKazuki Corporation All Rights Reserved.